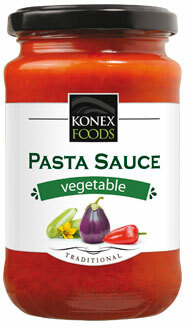 Our pasta sauces are inspired by traditional recipes. Just like home-made our sauces are made with fresh ingredients, prepared simply, savory spices, slowly simmered to perfection. 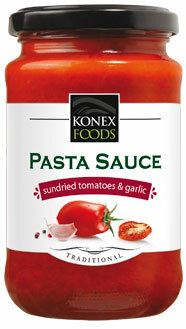 Our classic tomato-based flavour have a smooth rich taste that the whole family will love. 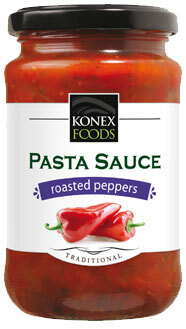 Heat in a sauté pan and serve any of our pasta sauces in the time it takes for the pasta to arrive at al dente perfection. 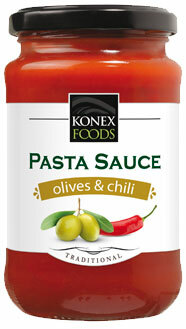 Add salt & pepper to taste & build up the pasta sauce of your own. Turn your meal time into family time. 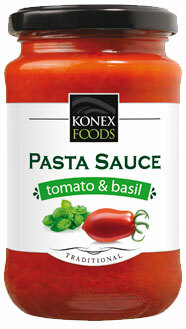 chopped tomatoes, tomato paste, sunflower oil, basil, onion, garlic, salt, sugar, black pepper. chopped tomatoes, eggplant, zucchini, tomato paste, onion, carrots, peppers, sunflower oil, salt, garlic, parsley, basil, sugar, oregano, black pepper, citric acid.